This is a site I visit frequently for great WordPress news and opinion pieces. Brian Krogsgard of Post Status has been writing about the WordPress community since 2010. His writing is sincere and genuine, and the news is relevant. A go-to resource for WordPress news, look for quality, thoughtful postings about big news items in the community. WP Tavern is spearheaded by Jeff Chandler, now of Audrey.co – Matt Mullenweg’s personal investment company. Sarah Gooding joins him in content creation, and they write and speak (via their weekly WordPress podcast) about relevant industry news, roundups, WordPress companies, dev studios, the future of WordPress, WordCamps, and more. If you really want an “in” on what’s happening in WordPress and the web dev world, read WP Tavern’s blog. It will give you everything you need to stay in the know. 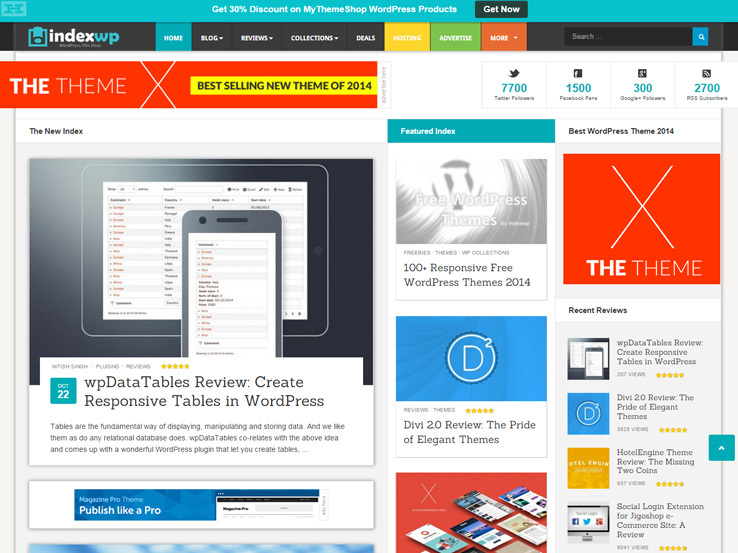 Look to Index WP for daily WordPress news, reviews, deals and roundups of themes and plugins. On a side note, from a recent blog post, it looks like Index WP was just sold via Flippa to a new owner, so keep an eye out for additional content, changes, and more. Launched July 2013 at WordCamp San Francisco, Torque Mag writes about the WordPress community, business development, and news. They also feature the DradCast, a YouTube show for developers and designers in the WordPress and freelance community. Worth watching! From the guys at WPMU comes the WPMU Dev Blog, devoted to all things WordPress and dev-related content. It also offers a somewhat popular job board, among useful articles about recent themes, plugins, how-tos, and the like. One of the great WordPress news resources, WP Explorer features givewaways, how-tos, site development information, WordPress news and roundups, and more. With an estimated 120,000 monthly impressions, WPLift is a popular news source not to be overlooked. It offers everything from tools, resources, theme reviews, roundups, deals, plugin reviews, tips, interviews, guides and more. WPLift also accepts guest posts, so if you are looking to publish online, this might be a good option to look at if you have relevant things to say about the industry. Founded in 2010 by Jean Galea, WP Mayor is a go-to resource for WordPress resources, theme reviews, tutorials, opinion pieces and plugin roundups. It gets around 85,000 monthly impressions and also offers partnership and collaborations in the form of giveaways and more. 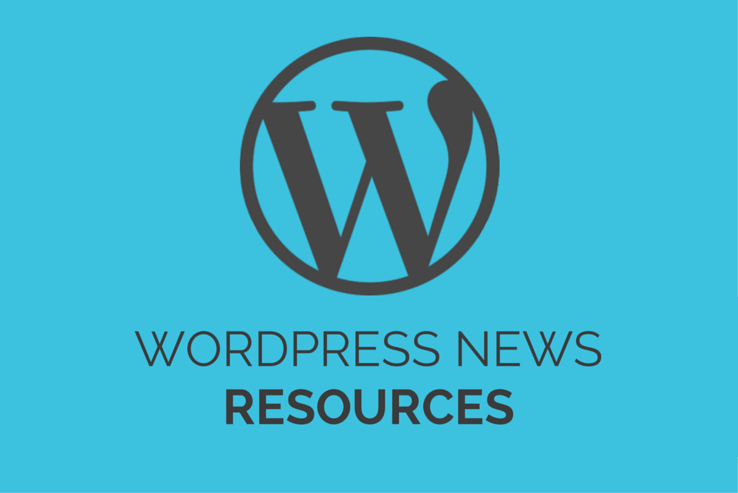 The WordPress.org blog is the place to go for official WordPress news, alerts, updates and news on version releases. You can find other micro-blogs on WP.org for developers, theme reviewers, and more. A must-have bookmark in your browser! The name should be enough – this is where you’ll find WordPress creator Matt Mullenweg’s public-facing blog. In addition to all things WordPress, his private company, Automattic, speaking events and the like, Matt is also a photo buff.